For most Americans, the country of Afghanistan probably conjures up images of burka-covered women, shuffling around a sandy bazaar. Or rifle-toting Taliban terrorists driving through city ruins, bombed to smithereens. Or the Twin Towers crumbling to the ground. In any case, the associations are overwhelmingly negative, laced with religious and cultural unpleasantries that have tainted an otherwise beautiful culture. But for me, Afghanistan evokes memories of homemade food and carefree days. My best friend growing up was Afghan, and I spent many nights doing homework and playing at her apartment. I remember the kitchen pantry lined with bags upon bags of pistachios, dates, and golden raisins, and her mother playing Bollywood movies in the background. Snacks at her house (cardamom-sweetened almonds and Krispy Kremes) were always accompanied by chai tea (no sugar), and we bonded over the undeniable fact that no meal was complete without rice. But I was young back then and didn’t fully appreciate the diversity and complexity of Afghan cuisine. After all, the fusion of culinary traditions so prominent in Afghan food reflects its central geography between the East and West. Meat and rice form the foundation of most meals, which are often accompanied by bread items, stewed vegetables, and yogurt dishes. Cardamom, onions, saffron, ginger, dried fruits, and nuts are common kitchen staples. For dinner, I chose Kabul House because family-run businesses have a special place in my heart and because I craved real Afghan food, not some generic Middle Eastern pita and hummus combo. Owner Akmal Qazi reopened the restaurant after his parents closed down the place in 2007, and Kabul House has earned both local and national accolades for authentic food and gracious hospitality. When I arrive at the restaurant, I’m immediately engrossed by the succulent aroma of seared meat and yeasty bread. Appetite sufficiently whet, I began with aash (chickpea, lentil, kidney beans, noodles) and tomato-lentil soup, followed up a round of appetizers: aushak (scallion & leek ravioli), mantoo (ground beef steamed dumplings), and bulanee (leek and potato-stuffed flatbread). 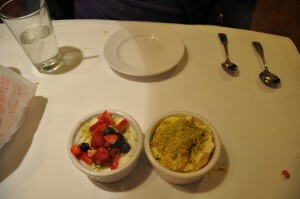 My entrees included the kabuli palau (lamb shank with seasoned rice) and pomegranate-glazed salmon and for dessert, I indulged in homemade ice-cream (rosewater, cardamom & pistachio) and firnee (milk pudding, rosewater, pistachio, berries). 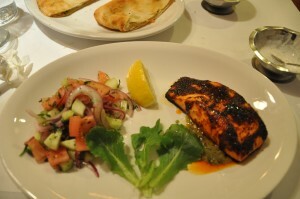 Though milder than I expected, the flavors of each dish were surprisingly complex and complementary. 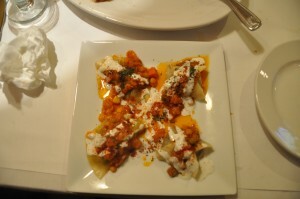 Being Chinese, I never thought dumplings would pair well with dairy, but my mantoo (topped with yogurt, chickpeas, and a tomato-based sauce) hit all the flavor and textural profiles with delectable harmony. The bulanee, luscious, yeasty pillows of pan-fried goodness drizzled with yogurt sauce, reminded me of jian bing or stuffed paratha, and damn, could I have eaten thirds or fourths of that appetizer. The desserts were equally scintillating for my taste buds—not overly sweet, highly aromatic, and simply delicious. 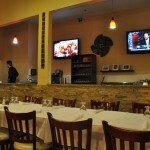 How did Kabul Restaurant come about? My parents opened the restaurant [in 2001] and it had success, but, due to the bad economy, the restaurant went down in 2007. This was the year I graduated from the University of Illinois Urbana-Champaign with a major in Molecular & Cellular Biology. I then obtained a Masters in Healthy Policy & Management. 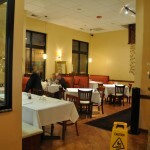 Then, I had a great opportunity for a wonderful space that was open in downtown Skokie. 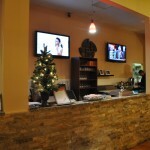 Originally, the space was to be a healthy Mediterranean inspired organic cafe. 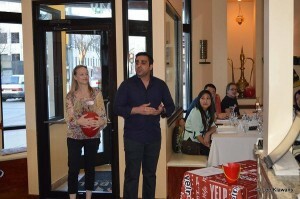 After some talks, I decided to open Kabul House…and [when] the restaurant kicked off, med school was put aside. People typically associate Middle Eastern food with stuff like hummus, pita, kebobs, etc. 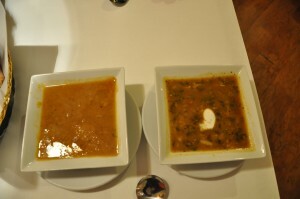 What is unique about Afghan cuisine? Afghan food is unique because it inhabits the cultures around Afghanistan. Afghanistan was the middle of Silk Route and you can see influences in the cuisine such as Arab, Persian, Mediterranean, Indian, and Chinese. I would say it’s unique because it incorporates all these flavors. Is there a big Afghan population in Chicago? What’s the biggest misconception about Afghans? There isn’t a large Afghan community in Chicago. It’s fairly small, but it’s growing. The biggest misconception about Afghans is what you see in the mainstream media nowadays. It was a very forward moving country back in the days, and the people are very hospitable and friendly. They’re known to be the most hospitable people in the world. What’s the hardest/easiest part about running a restaurant? A restaurant really has no easy part to it. It requires an intricate attention to detail and a lot of juggling. You have to juggle financial forecasts with constant changing food prices alongside constant training and fine-tweaking. I learn something new everyday. 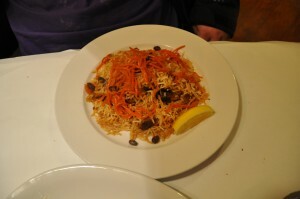 What’s one very traditional Afghan dish you would NEVER put on the menu? There isn’t one dish that I wouldn’t put on the menu. Everything in Afghan cuisine is so well spiced and cooked. That’s why I chose to re-open the Afghan restaurant! 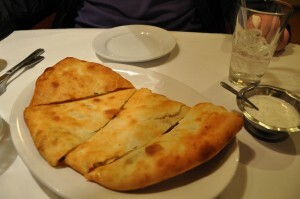 What’s your favorite restaurant in Chicago (besides your own, of course)? I’m a foodie and try new restaurants all the time. Even though I don’t have a select favorite– I can never go wrong with a pizza from Giordano’s. While I’m in Chicago, I like to stay to my roots. Have you ever visited Afghanistan? I have never been to Afghanistan but will so in the summer of 2014. On Wikipedia, it says: “Afghans do not usually eat out at restaurants, but some restaurants have booths or a separate dining area for families, so women may dine out when they are with their families. Women do not dine out alone or with friends.” What does that mean? Is it even accurate? Wikipedia is a very un-credible source. Not everything you read is true. That line in my opinion is out of context. Afghans as I said are very hospitable people. We love having company over and taking care of our guests like kings and queens. The misconception lies because of what the Afghans have endured over the last thirty years. No one wanted to leave their house because of war. Now, with the country in a better and safer position, those people are living lives as you and I are here in America. All kinds of meats cooked the way I like them: Beef, Chicken, Lamb. Buttered corn on the cob.